You’d never think you could mis-wash yourself, sure enough everybody knows how to wash from the greenest of years! 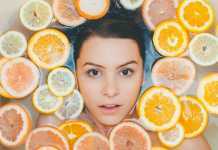 Yet there are some insidious habits that may be responsible for irritation, dryness, oiliness and a number of other skin problems. See if getting to know about them will enable you to set right any flaws with your skin. See you’ve got the right cleanser for your skin. It ought to do away with all dirt and makeup there is without removing the skin’s natural oils and cells in the process. Look for one that’s not very gentle so it makes you wash and scrub harder than necessary to cleanse properly, nor so rough as to leave your skin irritated and reddened. That can also be a mistake because it leaves the skin irritated and, consequently, producing an excessive quantity of oil. Generally one or two times a day is enough. Unless you are put to washing properly at night by heaving sweated heavily or worn heavy makeup, better go without a cleanser at all and just splash your face with lukewarm water. Let your face rest from product exposure once in a while. Some people believe that the hotter the water, the wider the skin pores open. Nothing like that happens, because there are no muscles to open and close the pores. Actually hot water makes the skin go dry, interfere with natural oil protection and lead to excessive sebum production. Warm water will serve it purpose best. You need to exfoliate regularly to get rid of dead skin cells, yet do it in moderation. Twice or thrice a week is the frequency you shouldn’t exceed. Exfoliate with grainy products (use fruit acids and sugar scrubs if you need softer products) and do it with your fingers rather than with a washcloth so you don’t pull at your skin too hard. You need to rinse well for a good wash, thus you ensure that your pores won’t be clogged with residue buildup after washing, and the skin won’t go dry. Even if you’re in a hurry, don’t skip rinsing, especially along the hairline and the nose – places which generally get an insufficient amount of attention. Make sure the products you are using don’t contain irritating ingredients – colorants, fragrances, synthetic preservatives (parabens). Stuff that is meant to wash off the residue (surfactants) like sodium lauryl sulfate can also bring about allergic reactions and irritation. If your skin reddens after washing, read product labels carefully. Are you given to rubbing your face quite hard for drying? Don’t do it, instead pat your skin lightly to avoid tugging and thus damaging your skin’s elasticity. And mind you don’t catch hold of a used towel, you don’t need all these bacteria all over your face, pick a soft clean towel and enjoy patting the water. Moisturizers are best absorbed when the skin is still damp, so don’t make a long pause after cleansing to apply moisturizers, serums, and other treatment products. If you dawdle until the skin gets dry, active ingredients soak in more slowly, meanwhile giving your skin an unpleasant greasy feel. You believe that the more you splurge on face products and the more you load your washing shelf, the better results you will get? Sometimes it is quite the opposite. So, begin with purchasing a cleansing product with natural ingredients, throw in a moisturizer and a serum that are guaranteed to absorb well and stay active long, and chances are you won’t need much else. Oils used to be blamed for clogging pores, but nowadays experts are inclined to believe that oils are good for cleansing – even if your skin is oily and blemishes easily. Beauty oils can dissolve unnecessary oils, do away with dirt and bacteria and mend the surface. Your oil products should be plant-based with natural ingredients. Pick high-quality apricot-based oil, grapeseed oil, almond oil or even common sunflower oil. Olive oil and coconut oil should be approached with circumspection. Apply the oil on, massage and take the residue off with a soft damp cloth; make sure you do it thoroughly so your pores won’t be clogged.